Want a Good New York City Business Continuity program? Security directors are well aware of the need for regular review of security practices to ensure visitors, guests and employees remain safe. Day to day operations for safety directors should also include an eye towards planning for a business disruption or emergency. Thorough property/asset review and regular training are successful components of any plan to reduce vulnerabilities. It is advised security and risk assessments be conducted by someone with experience in the organization to determine what assets need to be secured and how to execute a plan. Many companies understand this and often take this on themselves, while this is one approach, having an outside company assist with this or take the entire task over altogether can uncover details that might have been overlooked. As I usually do, I pick a story about some aspect of Disaster Recovery or in this case New York City Business Continuity planning. I enjoy what all these authors write they make good points and here William McGuire who is the president & CEO of Global Elite Group, Garden City, N.Y addresses things that are Big City unique! You may or may not – when you have a chiller fail, they usually fail BIG meaning it is not an easy fix. 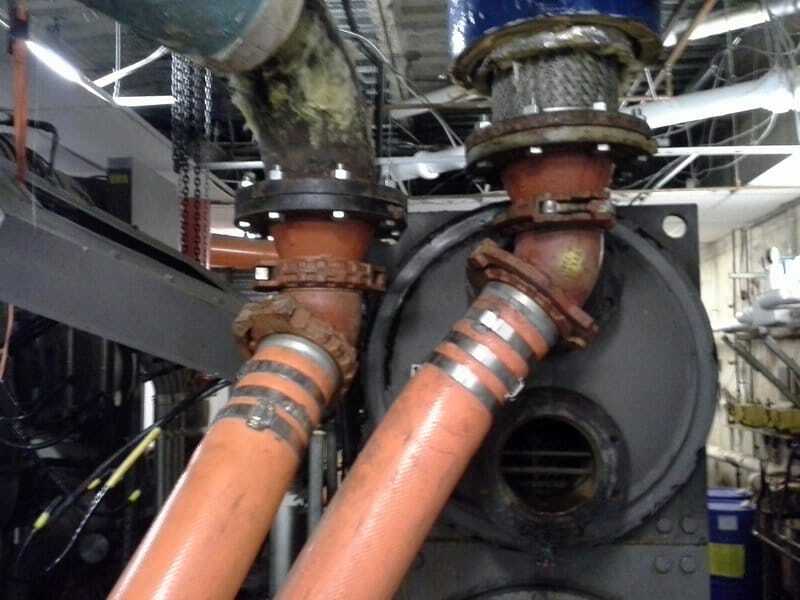 Sometimes these fixes take 2-4 months to repair and during that time you could have a heat wave and the remaining chillers can not keep up with the building cooling needs? I’ve seen it happen when a building is say 33% low on cooling because of repairs or maintenance to other units. The remaining 66% is worked so heavily that one of the remaining units fails! You might have only 33% cooling left and the building is getting very hot – to hot. What does a landlord do? 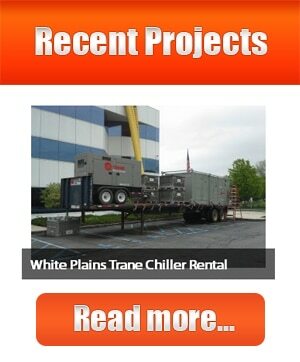 If they had a good New York City Business Continuity program they hopefully have a company like Paratus Rentals written into that plan to provide temporary rental chillers – I have to plug somewhere don’t I? My tip for the day – a good New York City Business Continuity program should have Tee’s and valves installed where you see the reddish elbows to facilitate an easy rental chiller installation. In this case, the bolts were frozen, an extra 2-3 hour to get torches down there to cut them off, call the fire alarm people that we will be cutting, call the fire department because their alarms went directly there as well. After all that we find out the valves are so old and damaged that they do not hold water any longer – find other valves upstream, close them drain off what water is in between, attached our hoses because we are already hours behind and you know how the story goes from there – lots of time and lots of extra money. Ok bottom-line by 6:30 am the following morning ice-cold water in running through the veins of the building and people are greeted with a cold foyer and cold offices. Moral of a good New York City Business Continuity program like one from Paratus Rentals will include things like quick connections and at Paratus being mechanical contractors we can fabricate and install any type of piping & valves that you may need to accept a temporary rental chiller plant – so don’t overlook the basics, people need a place to go to work in and as landlords, owners and managers prepare up front and it will cost you less on the back-end – end of story!